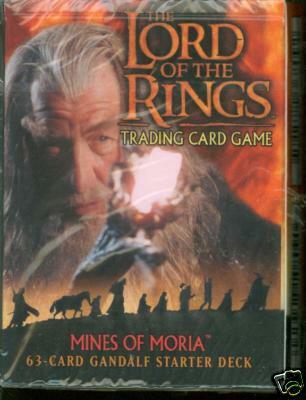 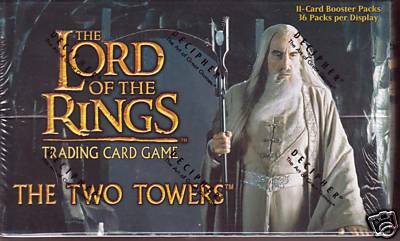 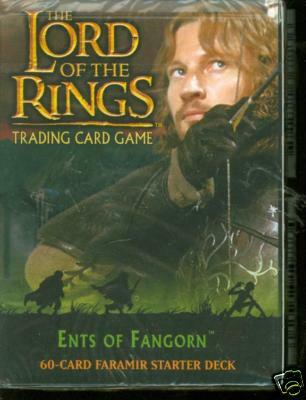 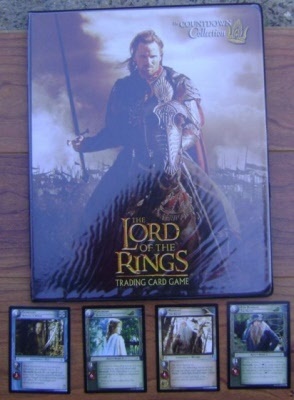 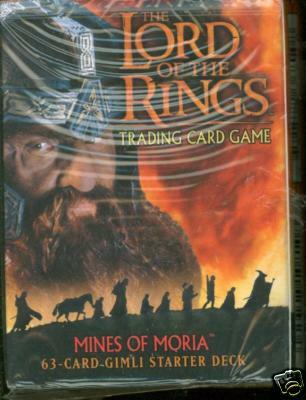 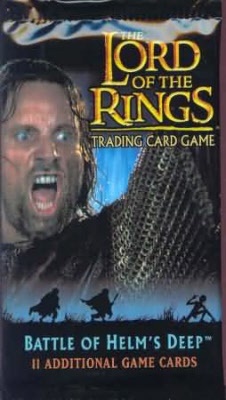 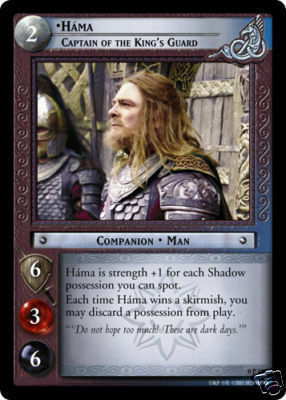 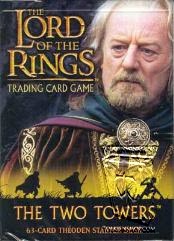 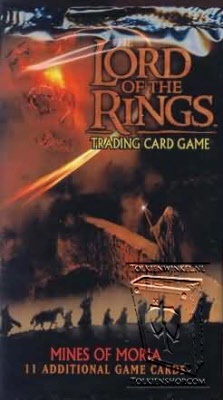 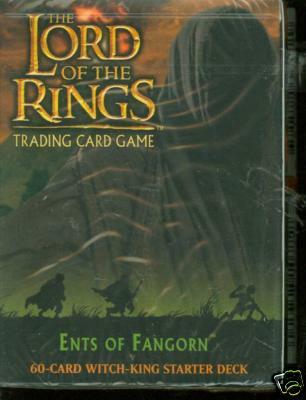 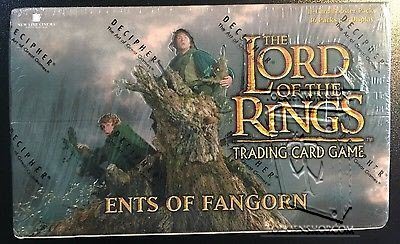 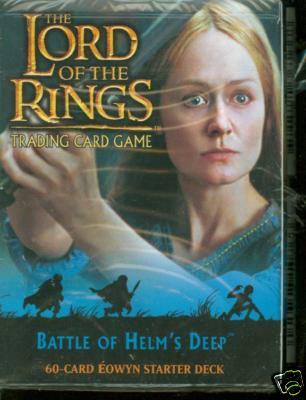 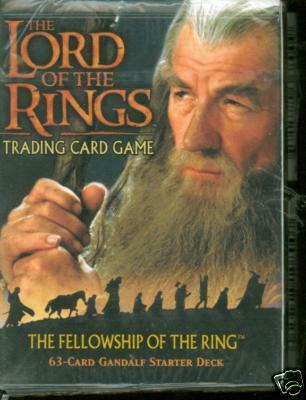 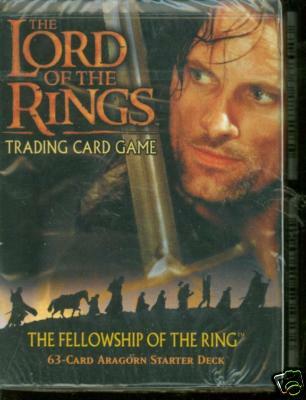 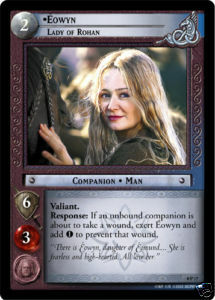 The Lord of the Rings Trading Card Game has stills from the movies on the cards and via computermanipulation even with characters and scenes not in the movies. 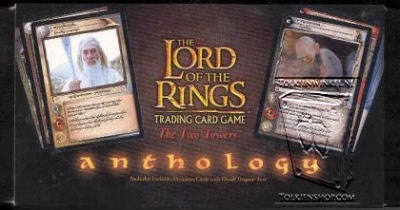 This category contains more than 1 page, so do not forget to hit the next button at the bottom of each page. 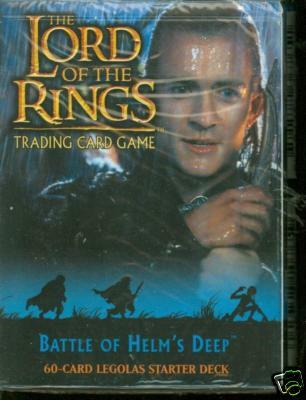 Click on a picture to enlarge it. 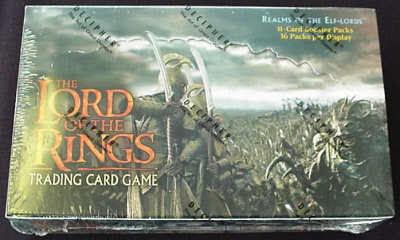 Pack contains 11 random cards. 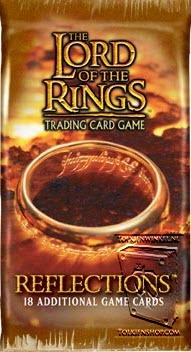 Large (8x11"/21.6x28 cm) removeable sticker with the logo of the cardgame and the One Ring on it. 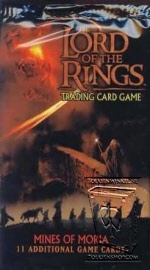 Gandalf and the balrog. 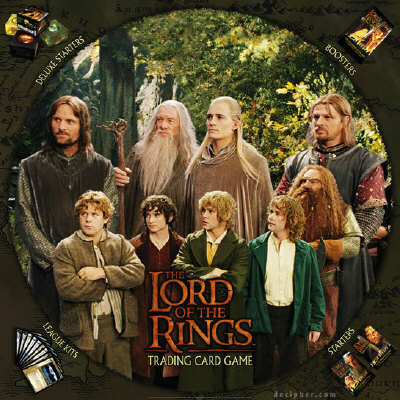 28x28"/69x69 cm. 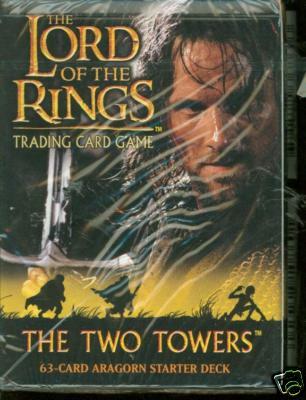 Folded twice. A preselected deck of 29 cards, taken from the first three sets, ready to play. 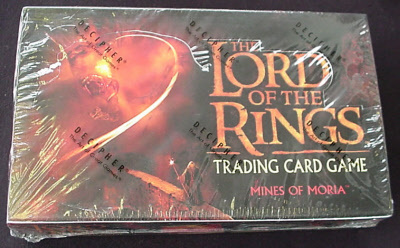 De luxe box containng a starter deck, a booster pack, 15 black glass tokens, 10 red glass tokens, the manual and a list of all the cards. 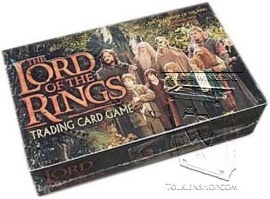 This is a green box with Saruman's hand on it. 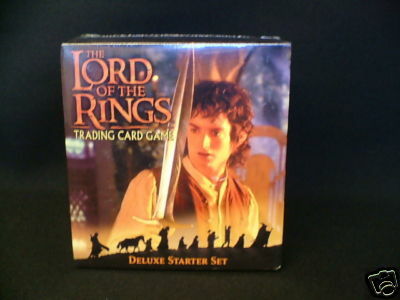 De luxe box containng a starter deck, a booster pack, 15 black glass tokens, 10 red glass tokens, the manual and a list of all the cards. 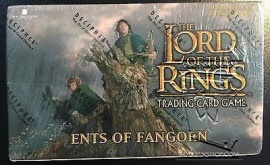 This is a brown box with a Rohan design on it. 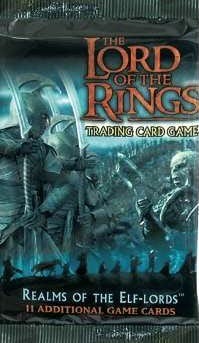 New set of 365 cards that can be played on its own or with the previous sets. A starter deck has 63 random cards and the rulebooklet. 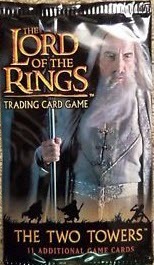 First expansion set of 122 cards for The Return of the King. 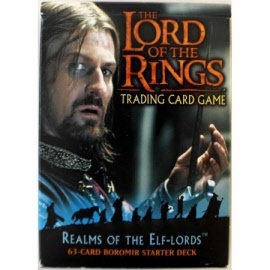 A starter has 60 random cards.